Boyd Hilder AUS (Federal) won the BMX Park contest, second was Daniel Dhers VEN (Red Bull). Kenneth Tencio CRI (Red Bull) came third and also won the Pumped BMX Pro BMX Park Best Trick contest with his flair drop-in transfer. BMX rider Alex Hiam AUS (Colony BMX) won the Visit Estonia "Epic Estonia Trip" best trick prize for pulling off a tailwhip to footjam tailwhip over fakie on the Visit Estonia spine. "Boyd Hilder rides in a different way. 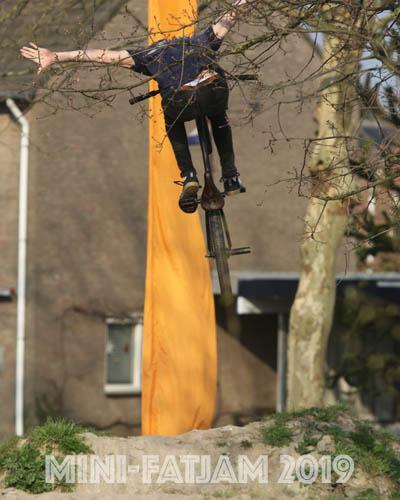 He did tricks like nobody else did, like the barspin to fence ride to barspin in and the one handed cannonball. A lot of things that stood out and that's what it takes to win – you have to be either better or different from everybody else," commented BMX head judge Bart De Jong. "Felix had a really good run. Matt Ray is also really good, but he did a lot of ramp style tricks compared to Felix, who did a lot of grinds on rails and ledges – it was more street oriented." Judging the BMX competitions were Bart de Jong NED (head judge), Markus Wilke GER, Brian Kachinsky USA, Dave Hank Cleworth GBR, Toms Silins LVA and Achim Kujawski GER. Simple Session Finals were broadcast LIVE in partnership with Red Bull TV with hosts Ed Leigh and expert commentators Tony Hawk (skateboarding) and Chris Doyle (BMX). At the arena, the Finals were hosted by announcers Andy Zeiss and Darryl Nau in BMX. *REPLACED TOM VAN DEN BOGAARD WHO GOT HURT DURING WARM-UP.